The National Highway Traffic Safety Administration chalked up 3,477 fatalities to distracted driving in 2015. The National Traffic Safety Board attributed half of aviation accidents involving crew error to interruptions or distractions. And the National Institute of Medicine honed in on interruptions as an underlying factor in medical errors. Looking at today’s healthcare landscape, one would be hard-pressed to gloss over the interruptions and distractions faced by those working in emergency departments. By definition, an emergency department’s work is unpredictable, both in terms of the number of patients seen and the nature of the injuries treated. That necessitates near-constant communication and task reprioritization – the implications of which are compounded by inefficient emergency medicine scheduling. One study found that an emergency department nurse faces an average of 3.3 interruptions per hour, almost all of which are communication-related. The nurse might be documenting a patient’s medical record when another member of the medical staff interrupts, or they may be retrieving or preparing patient medications when the phone rings. They could even be answering phone calls from physicians calling to inquire about who is scheduled to work in the emergency department. Researchers shadowing emergency department physicians discovered that doctors are interrupted an average of 10.3 times each hour. These distractions, combined with inconsistent shift schedules and provider fatigue, can negatively impact patient safety. Information Technology: Culprit or Savior? In a literature review of healthcare interruption theories, researchers pointed to information technology as both a problem and a solution. They cited, for example, computerized physician order entry (CPOE) systems that caused interruptions and triggered physicians to interrupt others. The researchers suggested that IT solutions focus less on prompting decisions and more on plan execution. Moreover, they recommend that information technology’s potential for disruption or for mitigating interruptions be considered prior to adoption. 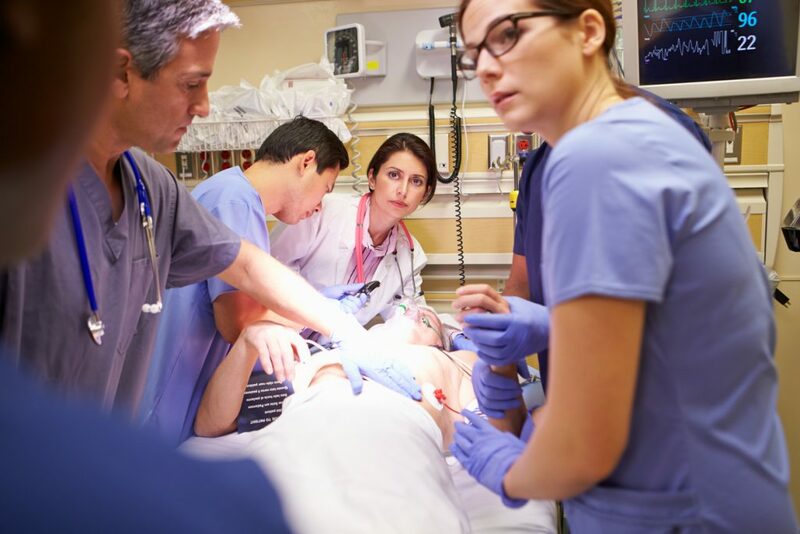 One area in which technology can reduce emergency department interruptions is through streamlining emergency medicine scheduling and communication. Increasing accessibility to communal information, for example, reduces distraction-inducing interruptions up and down a healthcare facility’s organizational ladder. One form of timely information requiring accessibility is the physician schedule. In a recent survey by MDsyncNET, fully half of medical services professionals reported that they distributed on-call schedules on their facility’s intranet, while another 30 percent disseminated the information via email or fax. But during nights and weekends, medical services professionals – those typically responsible for emergency medicine scheduling – aren’t available, leaving patients in limbo. In an emergency department setting, limited physician on-call schedule distribution can result in unnecessary interruptions. When offsite physicians need to clarify whether or not they’re on call, or must make a last-minute change to their availability, on-duty emergency department physicians and nurses are de facto switchboard operators. In addition to caring for patients, they must consult the on-call schedule and answer questions or note changes. In contrast, when a hospital utilizes emergency medicine scheduling software, the schedule is in the cloud. As such, it can be accessed by authorized users anywhere, anytime, from any Internet-connected device. Because emergency medicine schedules can also be updated in real time, physicians and administrators always have up-to-the-minute information. Emergency department interruptions have real implications for patient safety. Medical staff shouldn’t be burdened by having to act as switchboard operators during nights and weekends. Cloud-based information technology offers straightforward solutions to creating and maintaining real-time emergency department on-call schedules.